Lately my brush collection has exploded. I have more brushes than I could ever really need and I find myself reaching for budget brushes just as often as I do the more expensive ones. I have never really blogged about my beauty tools before (aside from my new mini series, Perfect Pairs!) so I thought I would share my favourite brushes; including some for every budget! I received the Real Techniques Buffing Brush as part of the core collection, and it was one of the first brush purchases that I made after I started my blog! It blends foundation in flawlessly; I use the brush to literally buff the product into my skin after I’ve applied it using another brush, and it creates a fabulous airbrush finish. I also love the Real Techniques Contour Brush which came in the set for creating a defined, precise contour shade. It’s perfect for picking up dark shades of bronzer and gives you lots of control over where you apply the product. Recently, Real Techniques launched their Bold Metals collection which includes a flat contour brush, which to be honest I like just as much, but not more than the cheaper version! Somehow I had it in my head that Crown Brushes were super expensive, but in reality they are very affordable and have some really great dupes for more expensive brushes. In the bottom of the picture you can see my bedraggled MAC 187 Duo Fibre brush sitting next to the pristine Crown Brushes Large Duo Fibre face brush. They are near identical, and I can barely tell the difference in the way that they apply foundation, the main difference would be that the Crown Brush is a little softer, the bristles are more delicate so it creates a slightly more sheer finish – perfect for applying tinted moisturiser. 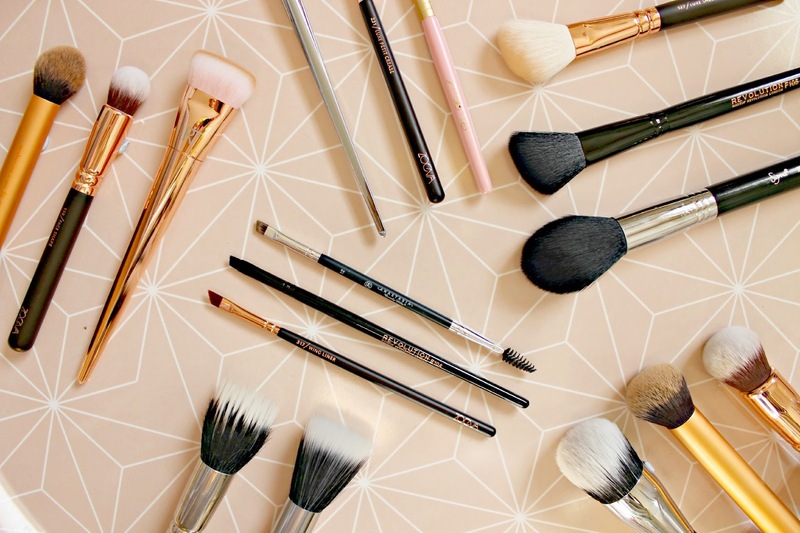 For brushes which require a slightly stiffer bristle, such as my slanted brow brush and highlighting brush, Makeup Revolution have some super options. All under £4, their brushes are super soft but also dense enough to pick up enough product where you need it. I use their contour brush for picking up cream blush from my Clinique chubby sticks, finding that it picks up the perfect amount of product. The beauty bloggers favourite, and not just because they’re beautiful but because they really are great brushes too! I went for the Rose Golden Luxury Set, unable to resist its beauty and I have to say I think it’s great value for an 8 brush set. My favourites include the Silk Finish Foundation Brush which is similar to the Real Techniques buffing brush in that it creates a flawless finish, but I also apply it with this brush as well as buffing afterwards. It makes for a really speedy makeup application and blends fabulously! Bought on an absolute whim, yet I have yet to regret my purchase of the Anasasia Large Duo Brow Brush. The slanted end is so slim and skinny that you can create hair-like strokes with brow powder, and the spooley is stiff enough to groom out the most unruly of brows! I purchased the Sigma Tapered Highlighter brush to compliment my Hourglass Ambient Lighting Powder, and find the shape of it so perfect for not just highlighting, but contouring too. The soft point gives you control over lightening certain areas of your face, while the fibres are dense enough to pick up enough powder for you to contour. There are a few brushes which I picked up during my haul which I have really enjoyed using as part of my daily routine. The Domed Stipling Brush is just like one mega buffer and foundation applier in one huge brush, it is so big that applying foundation takes just seconds, then you swirl it over your face to create a seamlessly blended finish. When I’m after a fuller coverage, I’ll always use the Pro Flawless Airbrush which lets you build layers of product until you get the desired finish. My current favourite combo is this with the Rimmel 25 Hour Foundation. 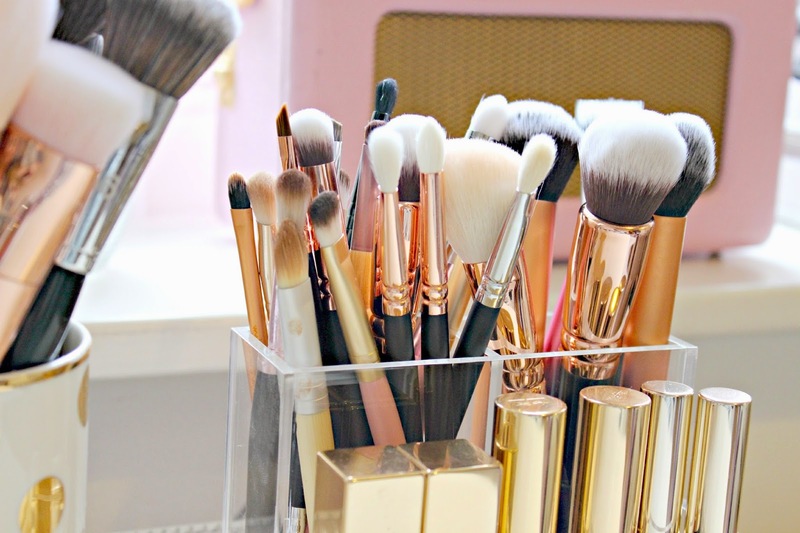 Have you tried any of these brushes? Which are your favourites?